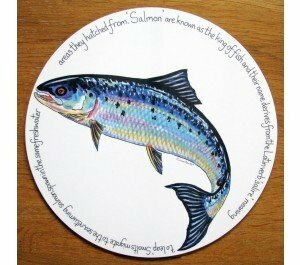 Sealife tablemats by Richard Bramble, they're a lovely quality and with their beautiful illustrations they will transform your dining table. By British artist, designer and conservationist Richard Bramble. 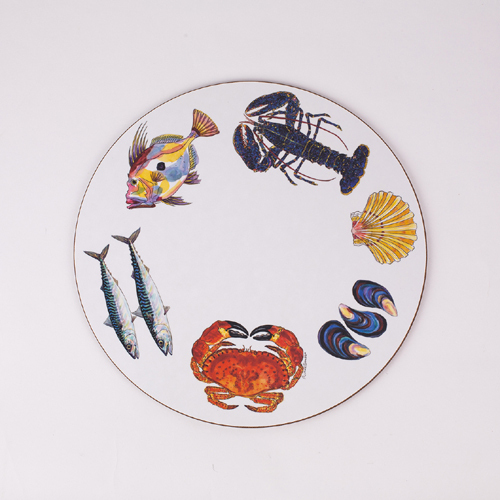 Inspired by the countryside, coast and marine environment, his iconic designs are renowned all around the world and are highly collectible. 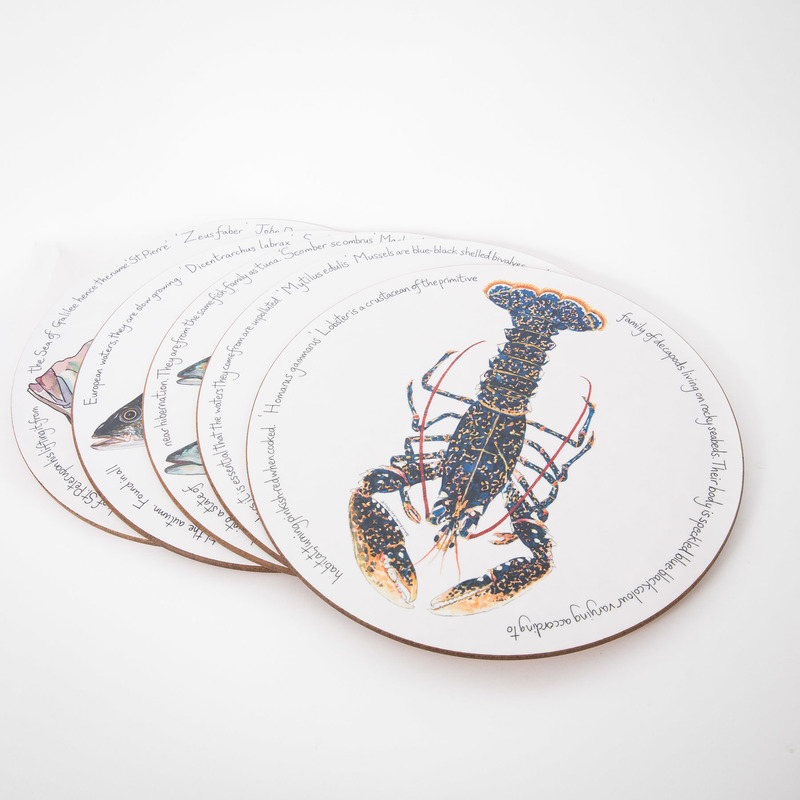 Made in Britain to the very highest quality, they have a hard wearing melamine surface and cork backing. 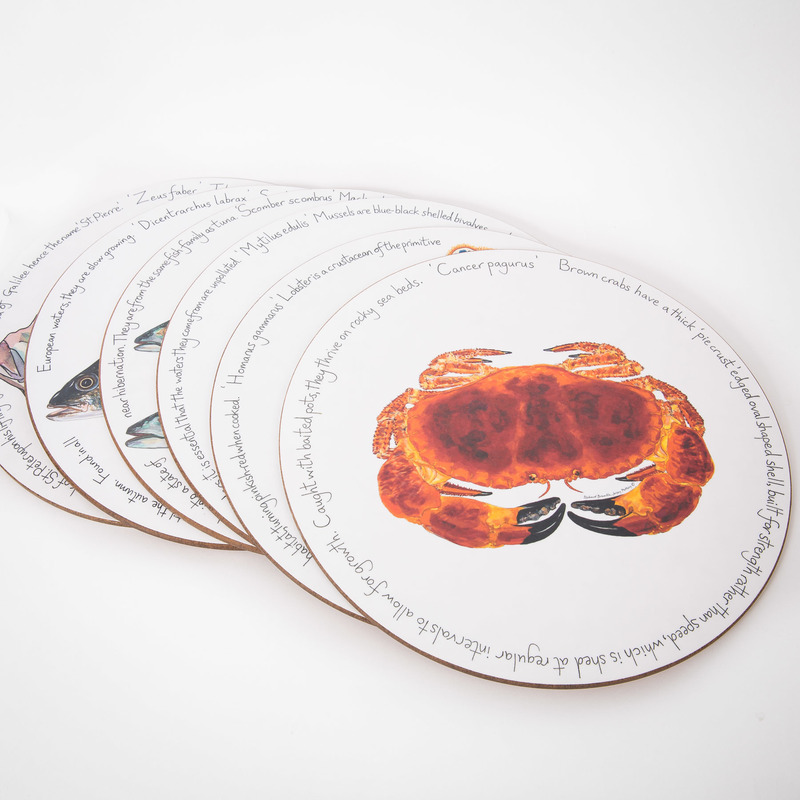 Heat resistant to 180°C (350°F) they are ideal for a place setting. For very hot pans or serving plates please see our listing for toughened glass heatstand and surface protectors. Round 28cm (11in) diameter, 0.6cm thick.